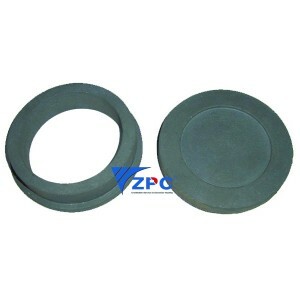 ZPC Reaction Bonded Silicon Carbide (RBSC, or SiSiC) has excellent wear, impact, and chemical resistance. The strength of RBSC is almost 50% greater than that of most nitride bonded silicon carbides. It can be formed into a variety of shapes, including cone and sleeve shapes, as well as more complex engineered pieces designed for equipment involved in the processing of raw materials. 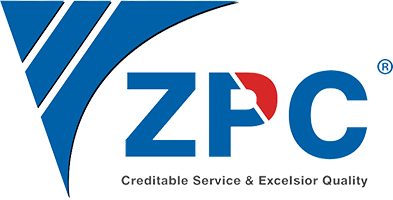 In addition, we will work with you to engineer whatever customized solution your process requires. 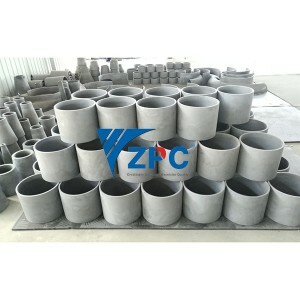 This kind of ceramic tile lined pipe consist of three parts (steel pipe + adhesive + ceramic tiles), the steel pipe is made of seamless carbon steel pipe. 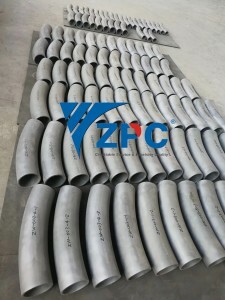 The ceramic tiles are RBSiC or 95% high alumina, and the bonding is high temperature epoxy adhesive up to 350oC.This kind of pipe are suitable for the powder transport without tile falling off or aging working under 350oC for long time. The service life span is 5 to 10 times than normal steel pipe. 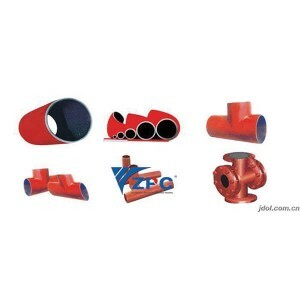 Applicable scope:These Pipes used for Pneumatic and Hydraulic Systems are suffering from high wear, high sliding and high impact, especially for the elbows. 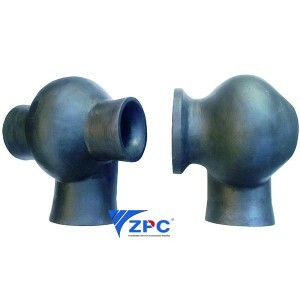 We can also design the custom pipe fittings to meet different working applications. 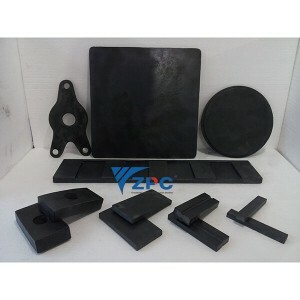 With self-locking shape ceramic tiles installed into the bend or pipe by inorganic adhesive and as well as stud welding. This solution can prevent the tiles from high abrasion as well as falling off in high temperature under 750℃. 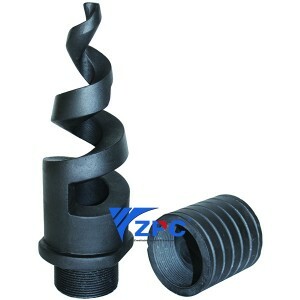 Applicable scope:This kind of pipes is usually used for high temperature and high abration material transport system. 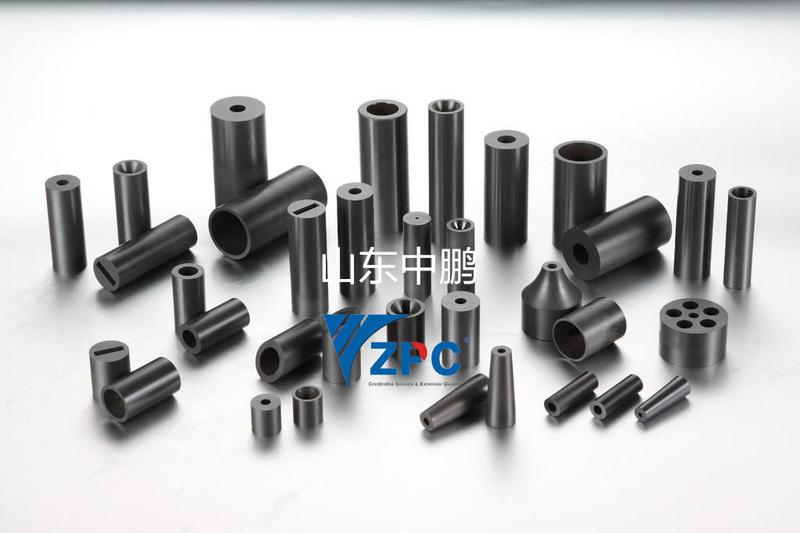 The ceramic tube or ceramic sleeve sintered as a whole part, and then assemble it into the steel pipe with our high-strength-temperature-resistant epoxy adhesive. 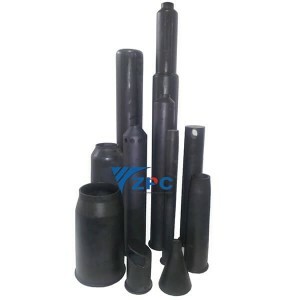 The ceramic sleeve lined pipe has a smooth inner wall, excellent tightness as well as good wear and chemical resistance ability. Chutes or hoppers are the main equipment for material conveying and loading in the crushing system in cement, steel, coal power plant, mining and so on. 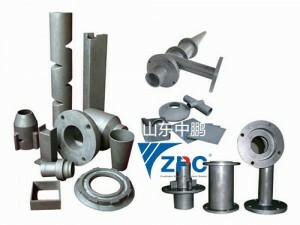 With continuous conveying of particle, such as coal, iron ore, gold, aluminum etc. The chutes and hoppers are suffered very serious abrasion and impact because of such big material conveying capacity and big impact. 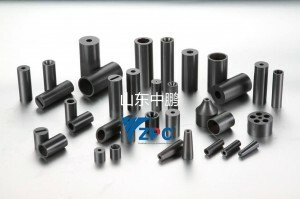 It is also applicable to Coal, Metallurgy, and Chemical industries as feeding materials equipment. According to the abrasion, impact and temperature, we select suitable abrasion resistant ceramic wear liners or ceramic liner to install on the inner wall of the equipment, like the mining chute, hopper, silo and material feeder, So that the equipment can prolong the lifetime. Applied industry：The abrasion resistant ceramic wear liner chute are widely used in the cement ,steel ,chemical ,mining milling, smelting, port ,coal fired thermal power plant as wear protection equipment. The material cyclone suffered serious abrasion and impact when it separated the material particle, like coal, gold, iron and ext. 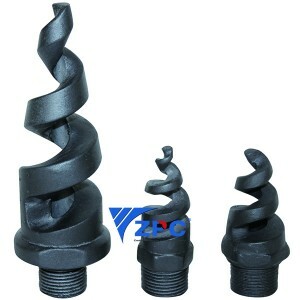 because of high speed material conveying. It’s very easy to wear out to leak the material from cyclone and a suitable wear protection solution for material cyclone is very necessary. KINGCERA used the ceramic liners lined into the inner wall of the cyclone to get the wear & impact protections. It has been turned out it’s a very good wear solution for material cyclones. 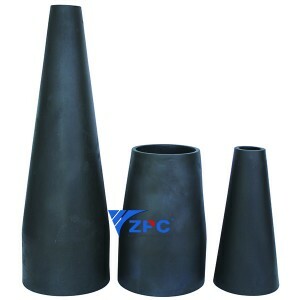 Also, we can design different shape and thickness ceramic liners for the cyclones according to different working conditions. Custom cyclone can be made according to client’s drawing. The fan impeller is ideal dynamic equipment which can provide the material particle conveying by wind. The material will hit and wear the fan impeller continually Because of high speed wind .So the fan impeller suffered heavy abrasion from the high speed material and repaired frequently. 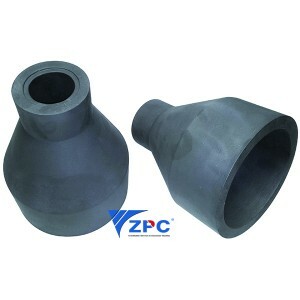 ZPC used more than 10 kinds of shapes ceramics liners to line onto the surface of the impeller to form a solid wear protection layer to prevent the abrasion and impacts. It performs very well and saves the maintenance cost a lot in cement and power generation. The coal mill is common grinding and separating equipment in many industries, like cement, steel, coal-fired power plant. The inner wall of the mill is suffering from heavy wear and impact problems because of the grinding and hitting materials. 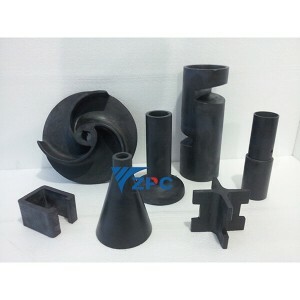 KINGCERA can provide complete ceramic solutions from the bottom of mill to the cone of the mill. 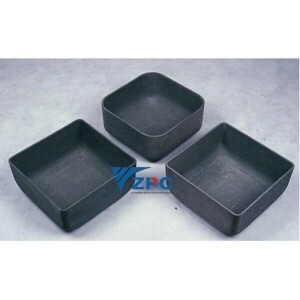 We use different ceramic liners and different installation methods to meet the different wear condition. 5.Saving maintenance time and expenditures. Part of the information comes from: KINGCERA.